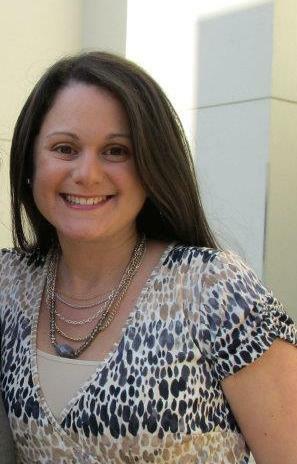 Once again I am happy to have a guest blog post from Michelle who blogs at Eat and Sip in the City. Welcome Michelle…. How about fried eggplant parm. and some chicken? Nope, that is not healthy Sal. Steak with a side of pasta? Still not going to work out for this dieting girl. But this dish was just perfect for us and I was so impressed by the simplicity of it all, the first time we had it. It is quick, which works out considering meals don’t usually get made until 7:30 pm or 8ish at my place. Also, we used fresh herbs from my make-shift urban garden, which gave it extra flair and flavor. And best of all, you only need a few ingredients for this healthy meal. 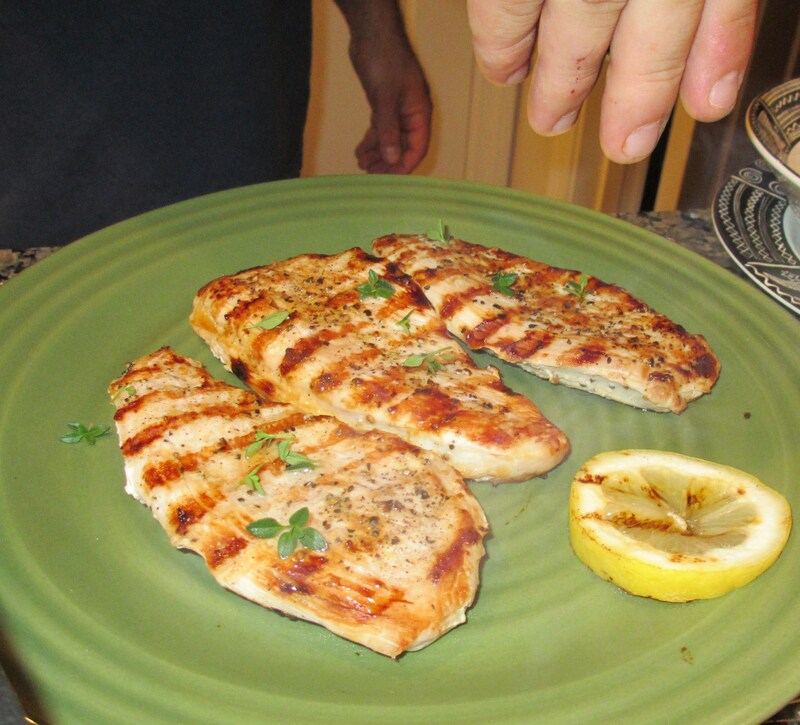 It is a great summer recipe for the grill but really it can be prepared indoors (as we did) all year long. Check out the recipe below and there are more food stories, food reviews, and recipes shared on my blog Eat and Sip in the City. 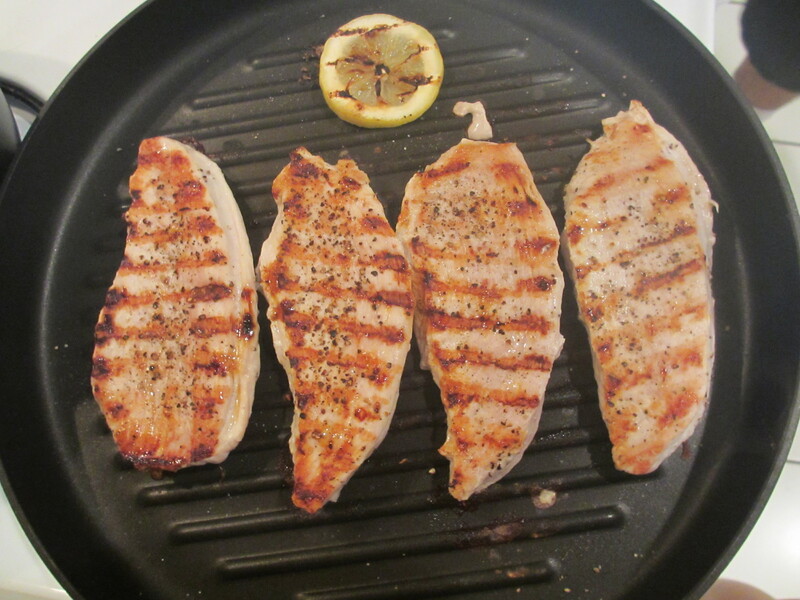 Warm up a grill pan (around med/med-high) or fire up the outdoor grill. 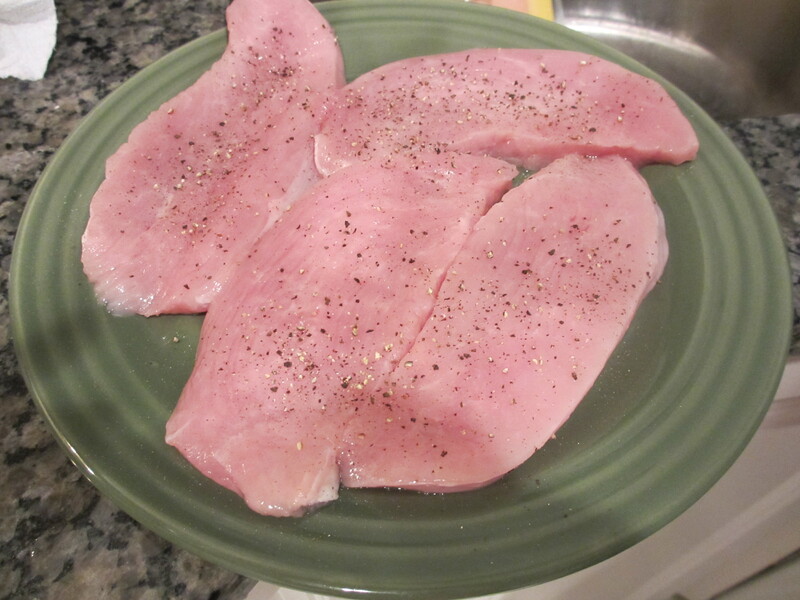 Remove turkey cutlets from packaging and season one side with salt and pepper. Lightly oil/grease the pan before placing the cutlets in the pan and seasoning the other side. 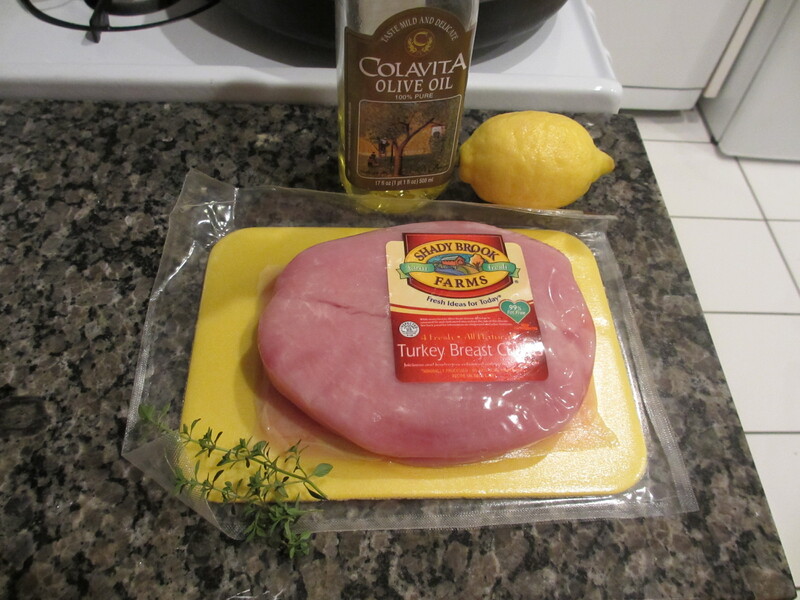 While cooking cutlets (which will cook for around 7 minutes on each side), remove leaves from thyme stems. You may even want to put aside a few more sprigs for garnishing. Cut lemon in half. 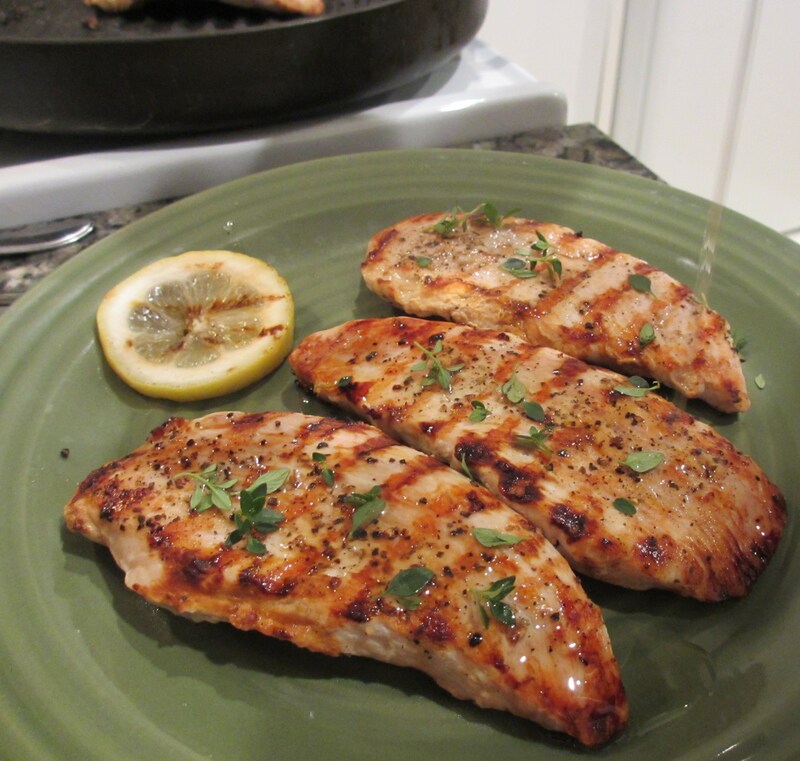 Cut and grill a lemon slice or two as well for flavor and garnishing (if desired). When turkey is ready, move it to your plate/platter and lightly drizzle oil across all the pieces. 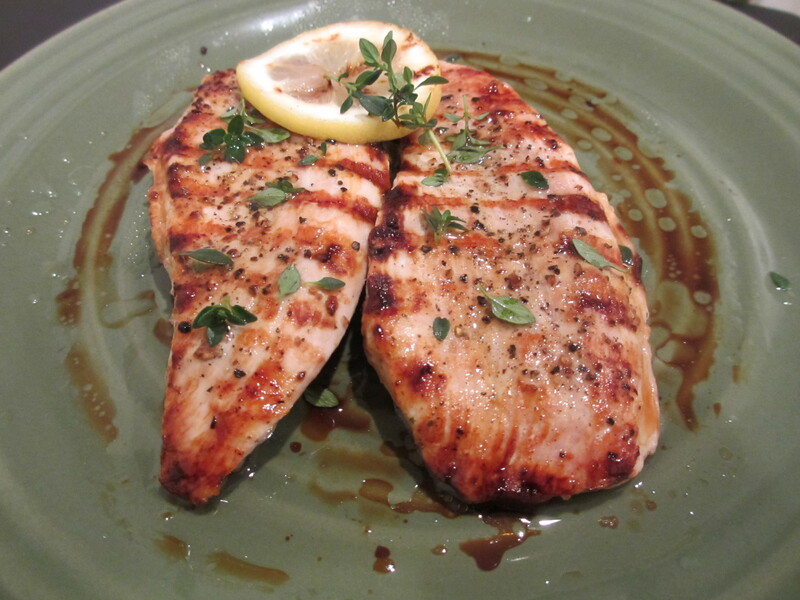 Squeeze your two lemon halves across all the pieces next, followed by sprinkling thyme leaves on top of each piece.